Cigar Dave hosted a LIVE telecast from Burn by Rocky Patel in Naples, Florida, on Wednesday, November 30th, 2016. 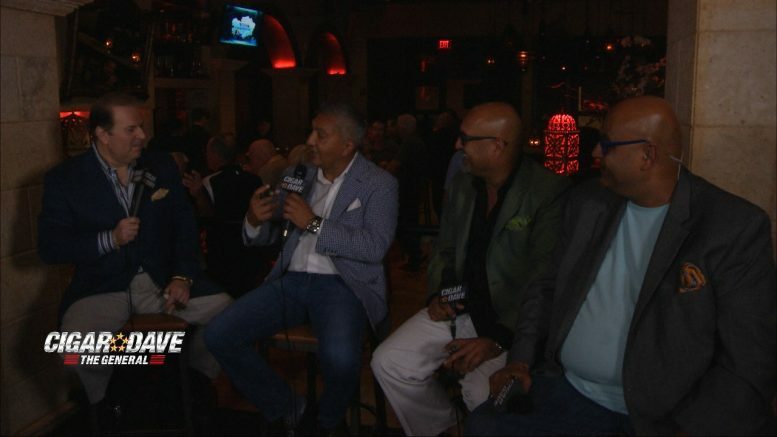 The General was joined by Rocky Patel, Nish Patel, and Nimish Desai as they talked about new Burn locations that are soon to open, their new cigars including the Rocky Patel Fifty-Five, Rocky Patel Special Edition and Rocky Patel Dark Dominican, and they elaborated how the FUDA is regulating via strangulation the Premium Cigar Industry. Sit back and light up a Rocky Patel cigar as you watch this telecast celebrating the Alpha Male Good Life.